We went to Nikko, one of Japan’s UNESCO World Heritage Sites. It’s two hours by train north of Tokyo. The main attractions there are the shrines dedicated to the Shogun, Ieyasu Tokugawa, and some of his descendents. Around this time, Nikko is also known for its spectacular fall colors, but it’s a little late this year and the reds and yellows and oranges were just emerging. The train ride is quite picturesque. Most of the tourists were old people. There was one rambunctious group of four Italians. At one point, all of them were talking at the same time. Who was there to listen? We decided to walk to the shrines. The downtown area was not particularly developed, lined with shabby storefronts and empty buildings. This was a surprise since Nikko is in all the guidebooks and tons of Japanese people also visit. For an old Japanese atmosphere I prefer Kamakura. 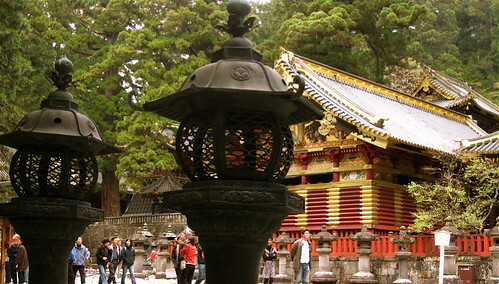 But Nikko architecture is unusual because the shrines and temples are very colorful, even gaudy. There’s heavy use of gold, red, and ornate carvings, reminiscent of Chinese decorative motifs. The major shrines and temples are all in one area and can be visited in an afternoon. I recommend you get the day pass for 1,000 yen. Otherwise you have to pay for each attraction. Just going to Toshogu, the main shrine, costs 1,200 yen. What a bizarre pricing structure. 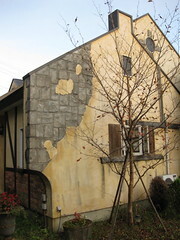 We stayed at what’s called a pension here, but most of us might call them a bed and breakfast. Ours was a British-themed B&B with private outdoor baths. All furniture, books, a billiard table, and decorative objects were imported from Britain. The details were uncanny, right down to the floral wallpaper, and unfortunately, the musty nicotine smell. And the separate taps of scalding water and freezing cold water. T and I had a good laugh over the techniques we had used in England to deal with such dinosaur inconveniences. Thankfully, they didn’t serve British food, sticking with French cuisine. The owners had never been to the UK. They seemed a bit embarrassed by this, especially after we told them that we lived there. 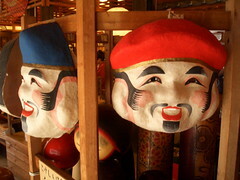 But they were obviously proud about all the authentic knick-knacks and furnishings. 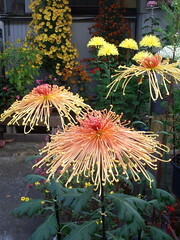 On the second day we went to Edomura, which translates as Edo Village, but which is advertised as Edo Wonderland. Edomura is a huge recreation of an Edo Era town. It’s a little pricey at 4,500 yen, but worth it for the cool atmosphere and the high quality shows. The ninja show had cinema quality fight choreography. 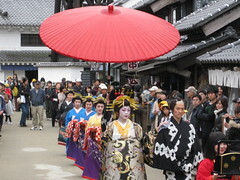 There was also an Oiran processioin of a high-class prostitute. All the workers are in costume and most of them are actors. There are definitely a few cheesy exhibits, like the Ninja horror house which consisted of a lot of fumbling around in the dark for hidden doors. The faux-prison was pretty fascinating and gruesome. There were dioramas of torture, execution, and prison life, accompanied by recordings of pained moans and screeches. Apparently, the week before it was so busy that the 40 minute bus ride to the park took two and a half hours. I imagine last weekend, which was a 3-day weekend, with fall foliage more beautiful, Nikko was packed. There’s a free bus to Edomura from Toshogu Shrine that runs every 1.5 hours. You can save yourself over a 1,000 yen if you take this. Also if you pay at the big store where you can catch the bus, you can get a 500 yen discount. Nikko is a nice escape from Tokyo. The town is devoid of any modern conveniences. And no one accepted credit cards, so bring cash, even for your hotel. There’s clean air, lush forests all around, and lots of little old ladies in a hurry. For more pictures from Nikko, click here. I love Nikko. I’ve been there many times. The shrines and the forrests are amazing. I also am surprised at the rundown dreary downtown of Nikko though. They should spruce it up and get some nice shops and restaurants there along the main street. i think the surrounding forests are pretty striking. next time, i’ll definitely have to explore some of the hiking trails. 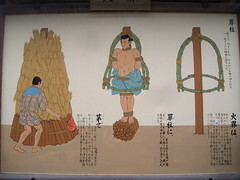 If I only have 1 day to visit Nikko, do you think it is better to visit the main 3 shrines of Nikko or Edomura? Would it be possible to cover them all in 1 day since I visited Kyoto before Tokyo and Nikko. Therefore, I do not plan to linger too long in the shrines. if you only have one day, i recommend that you get the world heritage pass and hit the shrines. they’re quite different than the ones in kyoto. i’m not sure why, but just going to the main shrine alone costs more than the pass for all the shrines. edomura is quite a ways away, and while entertaining, is not quite the real thing. 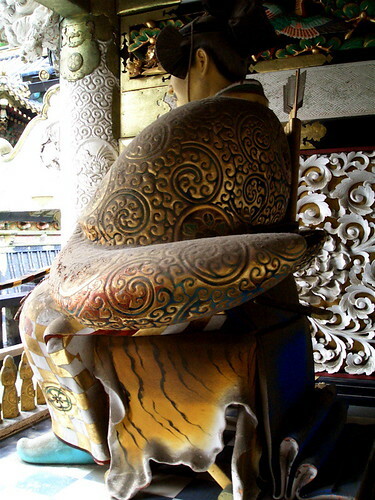 while the shrines can be covered in half a day, edomura is definitely a whole day endeavor. if it’s a busy day, and it probably will be if you’re going in august, the bus ride alone can take hours each way, since the road there is just a two-lane windy road. but if you’re tired of shrines, maybe edomura would be a nice change of pace.